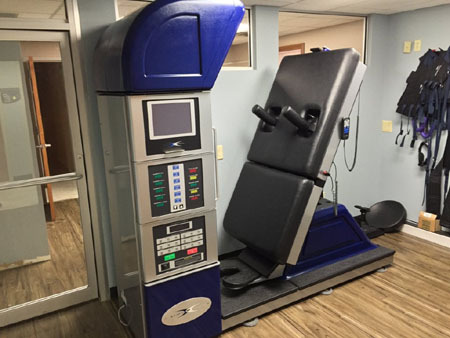 Dr. Jesse Dean and his staff of professionals are committed to delivering high quality treatments and rehabilitation utilizing cutting edge techniques such as Chiropractic Spinal Manipulation, Spinal Decompression, Physical Therapy, and more to customize care for your unique needs. We provide advanced spinal correction utilizing "state of the art" chiropractic techniques. Never in the history of chiropractic have we been able to provide the level of help and expertise that now exists. These newer correction methods are even safer, more comfortable and more effective than ever before. As a Doctor of Chiropractic, Dr. Jesse Dean has years of training and experience in spinal adjustment. Physical therapy is a hands on approach to the restoration of movement,strength, balance and function which utilizes joint manipulations,massage,trigger point dry needling, exercise, laser, electrostatic field therapy and other specialized treatments. Our therapists are specialists, either masters level or doctors of physical therapy and board certified orthopedic clinical specialists employing science to relieve pain and restore. We provide specific recommendations on nutritional supplements and healthy food choices to enhance our patient´s return to optimal health. Do you know which supplements and vitamins are good for youDr. Jesse Dean can provide a structured nutritional program based on your individual needs.